Atheist freemasonry is the true protector and backer of the theory of evolution, which was put forward for the sake of denying Allah and has inflicted oppression, degeneracy, mass slaughter and wars on the entire world by encouraging people to think that they are unfettered animals with no responsibility to Allah, claiming that everything came into being spontaneously and by spreading the idea of the survival of the fittest, and the elimination of the weak, by way of natural selection. 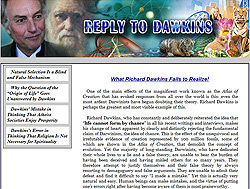 The reason for the global weakening of belief in Allah over the 150 years since the spread of Darwin's ideas, the rising number of atheists, why the world has suffered such great disorder and degeneration, for world wars, for the spread of hatred and anger in society, for the rise in mass slaughter and killings, genocide, and the spread of views such as racism that inflict such tragedy on societies is that this deception has been installed in just about all institutions, schools and national administrations across the world under the management of a Darwinist dictatorship closely tied to atheist freemasonry. Bloody communist and fascist leaders are notorious for their admiration for, and devotion to, Darwin's theory of evolution. These people had no hesitations about stating that in establishing their corrupt and oppressive systems they rooted themselves in the theory of evolution. In addition, all the bloody leaders in question were members of atheist masonic lodges. Mao Zedong, the founder of Chinese communism, was similarly a bloody communist leader who explicitly stated that he based the foundations of Chinese socialism on Darwinism and the theory of evolution. Mao Zedong was another atheist freemason and member of the Grand Orient Lodge.13 The Chinese socialism that Mao Zedong based on Darwinist principles was one of the most repressive and bloody regimes ever. China witnessed countless political executions during that time. In later years, the young militants whom Mao would refer to as the Red Guards inflicted a climate of terror on the entire country. China is still under the influence of the same polluted communist system, and the same bloody dictatorship survives there. 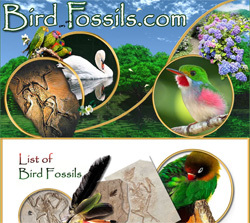 The terrible genocide and horrific executions that China has recently perpetrated against the Uighur Turks show the persistence of the same perverse and wicked system based on Darwin's theory of evolution, as Mao put it. All these people were Darwinists and atheist masons. They represent the committee of the dajjal that rebelled against Allah, the Qur'an, the Torah and the Gospel. 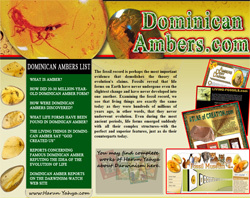 Darwin, who inflicted irreligion, degeneracy, hatred, ruthlessness and wars on the world, his grandfather Erasmus Darwin from whom he took his ideas, and the bloody communist leaders who supported Darwinism and caused the deaths of so many millions of people were all high-ranking atheist masons. Despite being devoid of any supporting scientific evidence, the theory of evolution is today supported and protected by laws across the world. Young people are forced to learn this perverse theory, and teachers are compelled to teach it. People who oppose the theory of evolution are immediately removed from their posts and silenced. This perverse ideology that has drenched the world in blood and inflicted irreligion on whole societies is the most important bastion of the dajjal, of atheist freemasonry in other words. 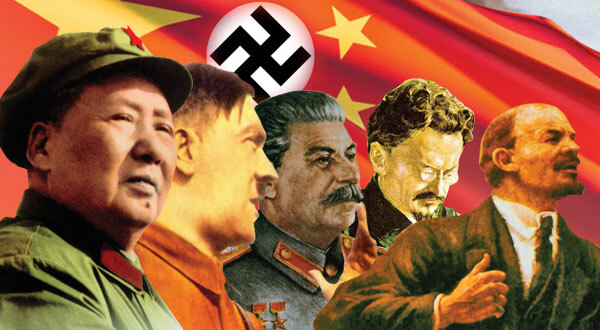 Seeing how determinedly devoted to this theory bloodthirsty communist and fascist leaders have been, and how they have shed the blood of millions of people by implementing Darwin's teachings, makes the global influence of this committee of the dajjal much easier to understand. All the bloodiest leaders who have inflicted irreligion, degeneracy, war, hatred and ruthlessness on the world have been atheist freemasons. 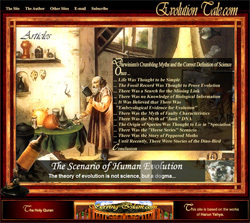 Atheist masons try to present evolution theory as a scientific one in order to sustain and propagate this big lie. 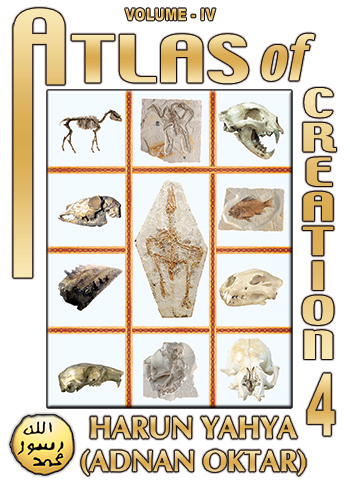 Yet the evolution theory supported by the atheist masons does not have even a single scientific fact to support it, and has collapsed completely in the face of 350 million fossils and other scientific evidence that proves Creation. 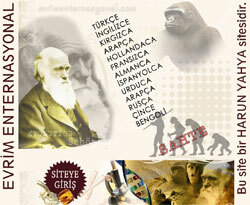 The evolution theory is the biggest fraud and deceit ever to have emerged in the name of science in recorded history. Atheistic freemasonry, as the system of the dajjal, uses Darwinism as a false support to achieve its deviant aims, thus claims that human beings are animals that came into being by chance. 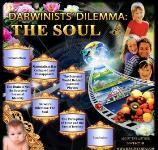 Darwinism is put forth, falsely supported, presented as science and protected by atheist freemasons. The said system of the dajjal continues to protect this deviant ideology by way of oppression, imposition, cruelty and fraud. 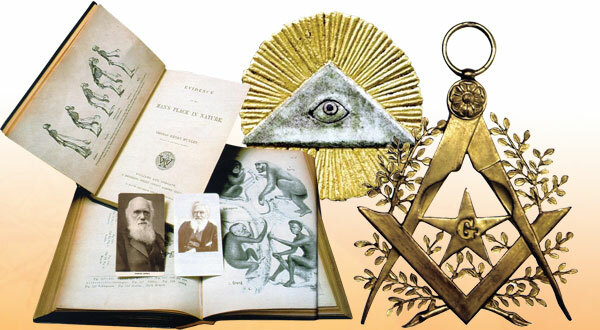 In order to get a better understanding, it will be useful to examine how atheistic freemasonry, the system of the dajjal, has supported and put forward this deviant ideology during Darwin's time. 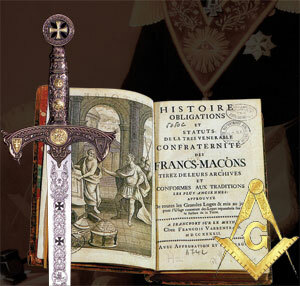 Atheistic freemasonry in the United States picked up the resolution of Mizraim before long. New Age magazine, in its March 1922 issue, stated that the kingdom of atheistic freemasonry will be established by so-called evolution and the development of man himself. As seen above, the false scientific image of evolution theory is a deception created in the 33rd degree atheist masonic lodges. Atheist masons openly admit that they will use the scientists and media which are under their control to present this deception as scientific, which they themselves find humorous. 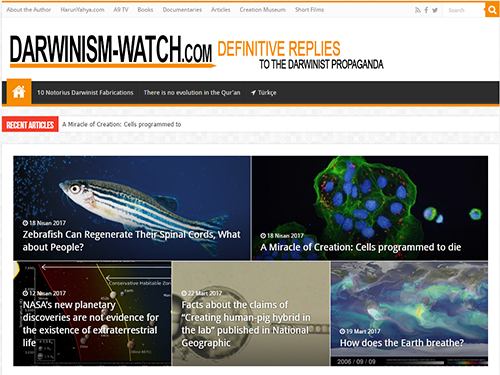 When atheist freemasons talk about the successes they arranged for Darwinism, they are actually referring to having infiltrated a deception into universities, schools, textbooks, and most of the mass media, and presenting this deceit as a scientific truth, squelching those who have anti-Darwinist views, and hindering anti-Darwinist activities by oppression. 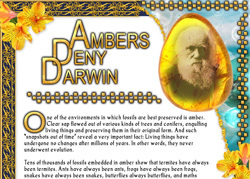 These false "successes" atheist freemasons accomplished for Darwinism are aggravated insomuch as that today the Anglican Church is forced to apologize to Darwin, and the Pope is forced to deliver pro-Darwinist conferences from the Vatican. This is how this deviant system, created in a lodge by atheistic masonry (which is the system of the dajjal), is effective. 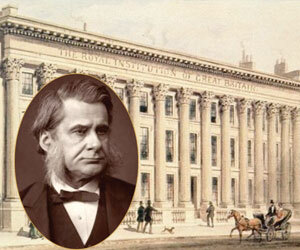 Although he had no personal achievements, Huxley was accepted as a member by the Royal Society when he was very young. The reason this masonic society, of which the majority were atheists, considered him important was his closeness to Darwin and his being Darwin's biggest supporter. Other members of the Royal Society also supported Darwin and contributed to his works both before and after publishing his book. This masonic institution, formed particularly of atheists, supported him so much that after a while they started presenting a "Darwin Medal," much like the Nobel Prize, to scientists they deem as successful. This assertion shows why atheist freemasons attach so much importance to evolution theory. Their aim is to impose the idea that human beings and all other living things have come into existence by chance, and to falsely present this deviant materialist philosophy as if it is a scientifically proven idea. 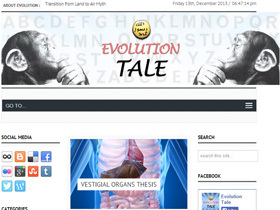 According to them, the evolution theory is the only method to deny the existence of Allah (Surely Allah is beyond that) and to impose chance on people as a false deity. That's why atheistic freemasonry supports, defends, spreads and protects this theory in every situation, even using fraud and cruelty. This is the reason why this deception is protected persistently, with a fanatical attitude, and why a world-dominating Darwinist dictatorship has been built. 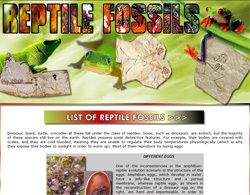 It is again atheist freemasons who are the present-day supporters of the theory of evolution which was initially launched by atheist freemasons. As we have explained in detail , the fundamental philosophy of atheistic freemasonry is based on Darwinism. That is because, though having no scientific aspect whatsoever, Darwinism is a fake ideology with a scientific guise propounded solely to make the mainstays of atheistic freemasonry (atheism, aimlessness, wars and degeneracy), that is the system of the dajjal, legitimate. Many New Age tenets of Universalism, occultism, and Evolution are found in the [atheistic] Masonic Lodge. That is why Freemasons like Erasmus Darwin and others agreed with Evolution. By means of Darwinism, it was not difficult for atheistic freemasonry to cause the outbreak of wars, to commit mass murders, perpetrate genocide and perpetuate racism. Atheistic freemasonry has caused the world to drift into a horrible disaster by means of various senior atheist freemasons, by making Darwinist ideology a basis of its objectives, and by brainwashing methods. This horrible plot has cost more than 350 million lives or martyrs. They experienced the destruction of two great world wars without understanding what was going on. In The Secret Cult of the Order, Antony Sutton states: "Both Marx and Hitler have their philosophical roots in Hegel." It is here that one arrives at the Hegelian nexus where Darwin, Marx, and Hitler intersect. Recall that Nietzsche-ism, Darwinism and Marxism were all mentioned together in the Protocols of the Wise Men of Sion. This was no accident. Nazism (a variant of fascism) sprung from Nietzsche-ism. Communism sprung from Marxism. Both were based upon Hegelian principles. 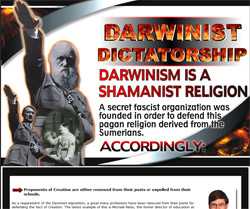 Moreover, both were "scientific dictatorships" legitimized by the "science" of Darwinism. Atheistic freemasonry, that is the system of the dajjal, permeated the masses under the appearance of Darwinism and led to millions of people being murdered. This system of the dajjal ruined whole nations, and became the primary perpetrator of massacres against believers. The methods of this system of the dajjal have always been tried to be presented as reasonable and taught to be shown to have a scientific basis under the disguising veil of evolution. The fact is however, apart from being bereft of a single scientific proof, every bit of scientific evidence wholly demolishes this theory. 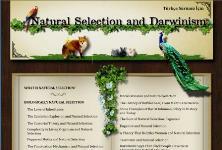 The fact that Darwinism is a great deception is a certified, proven fact. The fact that people blindly adhered to such an obvious lie, the spread of such a hoax throughout the world and its influence over people, societies and countries is surely unbelievable. However, one can understand the reason for this deception when one considers the fact that this hoax is under the monopoly of atheist freemasons. Atheist freemasons' plot, which is hatched behind the closed doors of atheistic lodges, is an efficient one with a truly global span. Just as in the case of the theory of evolution, when they want to deceive a society or the entire world, they accomplish it by employing every manner of force under their hegemony including countries, governmental institutions, people or press. By bringing Darwinism to the fore, atheistic freemasonry has initiated wars, committed mass slaughter and spread oppressive systems such as racism. Atheistic freemasonry, the satan-worshiping system of the dajjal, will always be defeated by the supporters of Allah. At the moment, the satan-worship masonic organization appears very powerful, but this is a deception. The fact that satan controls great states, national policies and intelligence agencies means nothing. If Allah so wills, this rotten system will fall apart in a single week, a single day, or even a single moment. No matter how powerful the satanic system may look, it has been created in such a way as to collapse whenever Allah so wishes. One can see this in history. Whole states run by satan-worshiping atheist masons have collapsed in a moment when Allah has so wished. Hitler, for example, was a satanist and an atheist freemason; he had his state policies, secret police and other organizations. But since he adopted satan as his false god and imagined following in satan's path would make him strong, Allah destroyed his state and ruined him. Indeed, Hitler died insane, his mind and body in ruin. 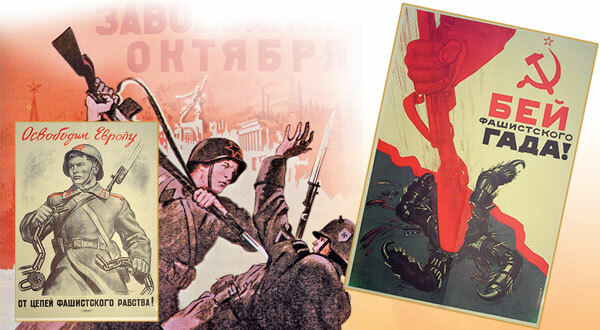 The communist dictator Lenin appeared to be a powerful figure who ran whole states by obeying satan's commands. But he died after a series of strokes, confined to a wheelchair, unable to speak or even move, in a pathetic state. Saddam Hussein was also an atheist mason who acted on satan's orders. The Iraqi Army in its prime was one of the strongest in the world; yet his army vanished in the desert in just one day. Following his display of strength and arrogance against the world, Saddam ended his days by being hanged. All these events happened in a single day or moment. The supporters of satan who appeared to be so powerful lost all their power and collapsed the moment Allah set satan as a scourge upon them. These people were wrong to think that satan had any power. The fact is that satan's scheming is feeble. All power belongs to Allah alone. For that reason, the supporters of Allah will be victorious. And satan's army has always been defeated by the prophets. Since our Prophet (saas) was a supporter of Allah, they never vanquished him. The Prophet Moses (pbuh) opposed Pharaoh, an atheist mason and a most powerful leader of his day. 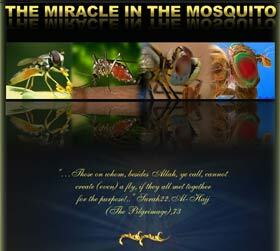 But Pharaoh was unable to defeat the Prophet Moses (pbuh), a supporter of Allah. It is to be noted how Pharaoh, who lived in such splendor, died in such a way as to be a deterrent to peoples who came after him. The Prophet Solomon (pbuh), too, overcame all the atheistic masonic organizations of his time. The supporters of Allah never have and never will be defeated. Everyone who truly loves Allah and genuinely turns to Him will definitely overcome the system of the dajjal. The system of the dajjal that currently rules the world, atheistic freemasonry in other words, is in the same position as those who supported satan in the past. Even though the dajjal may appear powerful, since he is a supporter of satan, there is a huge response from our Lord for him. The Prophet Jesus (pbuh) and Hazrat Mahdi (pbuh), both supporters of Allah and the two great personages of the End Times, will certainly vanquish satan. By Allah's leave, the intellectual system of the dajjal will collapse and be utterly eradicated. The bloodiest leaders of the oppressive, Darwinist system, who imagined themselves to be very powerful, died in wretchedness.